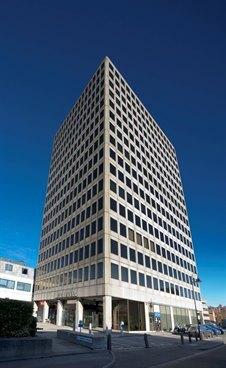 The 8th floor of CI Tower, New Malden, comprising 5,370 sq ft with 11 car spaces, has just been let at a rent equating to £26 per sq ft. The floor had just been fully refurbished by landlord CLS Holdings and this letting demonstrates that there is good demand from South West London occupiers for quality space that benefits from good communications with the building being immediately adjacent to New Malden station and within one mile of the A3. Further refurbished air conditioned office suites are available in the building from 2,417 sq ft and three further floors of approximately 5,370 sq ft.
For further information contact Andy Armiger of Cattaneo Commerical 0208 546 2166.